Especially if you heard him read the astonishing first chapter of his YA novel at the Tassy 2011 award ceremony, you will recall Steven Parlato, the winner in the 2011 YA category of the Tassy Walden Award for New Voices in Children’s Literature. We have great–truly wonderful–news to share about his experiences since winning the Tassy. His winning manuscript, now entitled The Namesake, has been picked up by and soon will be published (pub date: January 18, 2013) by the brand-new imprint, Merit Press, of F+W Media, who are also the publishers of Writers Digest books, the Everything book series, and the popular crime fiction imprint,Tyrus. Steve’s book is one of Merit Press’s five inaugural novels, and his editor is Jacquelyn Mitchard, author of The Deep End of the Ocean, among other acclaimed novels. Now that it’s September, Steve is back in the classroom, teaching at Naugatuck Community College, but he’s also at work on a second novel. Be sure to cheer him on! We on the Tassy team, I know, couldn’t be prouder. This success is what gives us the energy to keep on working so that the as-yet undiscovered voices are found and heard! You can read more (and congratulate Steve personally!) on Steve’s new website/blog. Steve’s debut has already been announced on Publisher’s Marketplace, and on the B & N site and Amazon, among others. Here are some links to enjoy! And don’t forget to look at this link for more info about the Tassies!! Gifted artist? Standout student? All his teachers are certain Evan Galloway can be the graduate who brings glory to St. Sebastian’s School. As for Evan, however, he can’t be bothered anymore. Since the shock of his young father’s suicide last spring, Evan no longer cares about the future. In fact, he believes he’s spent the first fifteen years of his life living a lie. Despite his mother’s encouragement and the steadfast companionship of his best friend, Alexis, Evan is mired in rage and bitterness. Good memories seem ludicrous when the present holds no hope. Then Evan’s grandmother hands him the key–literally, a key–to a locked trunk his father hid when he was the same age as Evan is now. Digging into the trunk and the family secrets it uncovers, Evan can begin to face who his father really was, and why even the love of his son could not save him. 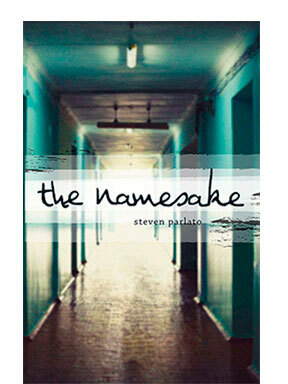 In a voice that resonates with the authenticity of grief, Steven Parlato tells a different kind of coming-of-age story, about a boy thrust into adulthood too soon, through the corridor of shame, disbelief, and finally…compassion. Steven Parlato, a writer, teacher, and illustrator whose poetry has been featured in Borderlands and Freshwater is the winner of the 2011 Tassy Walden Award for New Voices in Children’s Literature. He lives in Connecticut with his family and is at work on his second novel. Congratulations to Steve and best wishes to all writers endeavoring, persevering, everywhere!